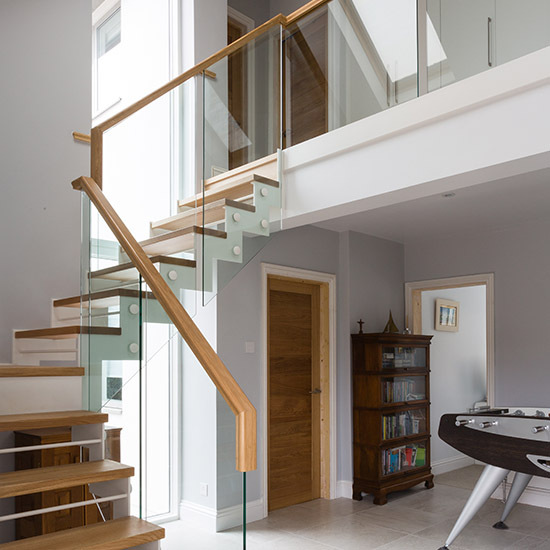 This solid metal structure steps away from the traditional staircase, forming a contemporary zigzag effect with frameless glass balustrades throughout. 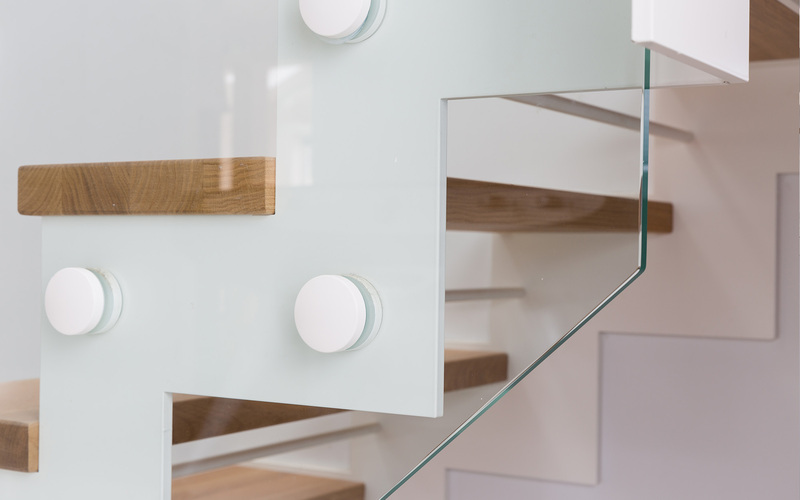 It’s sleek, contemporary design can be customised to suit your nterior with a variety of styles and finishes. 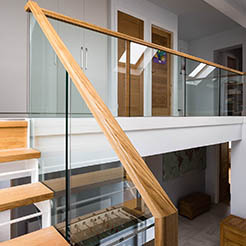 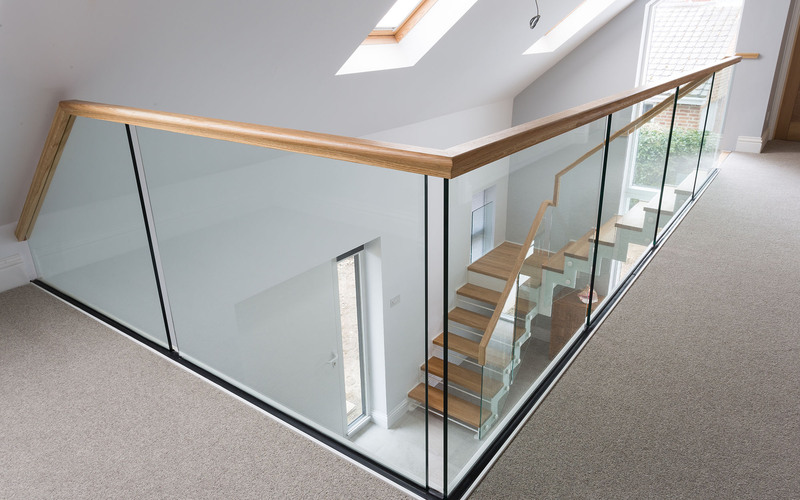 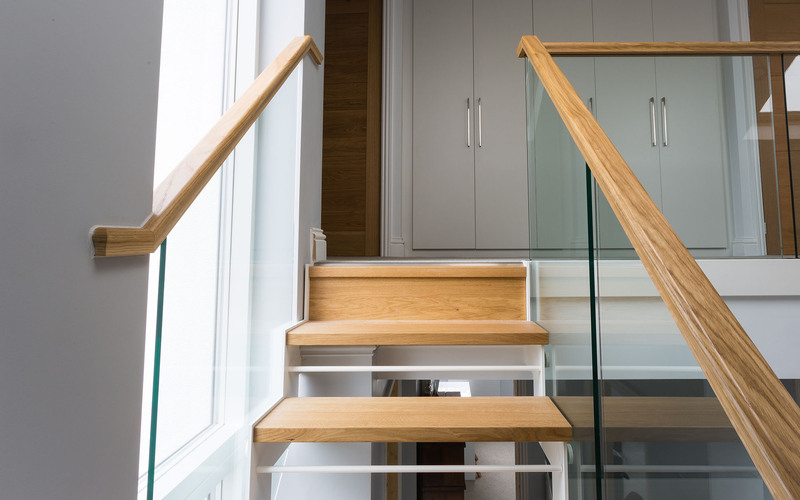 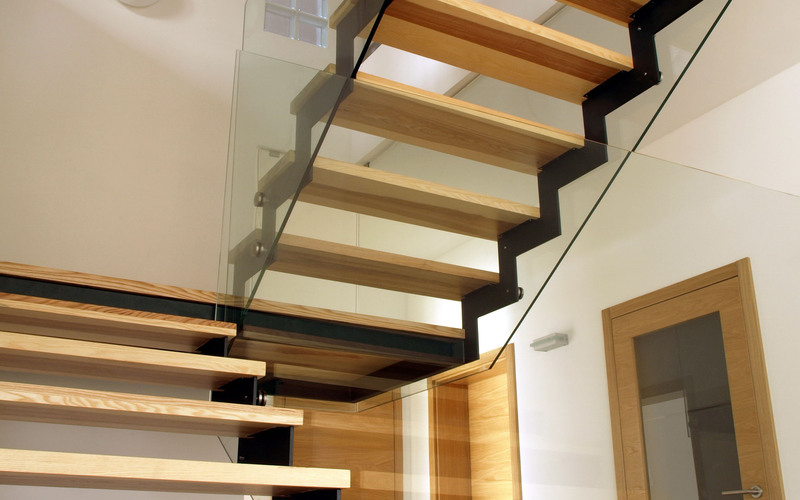 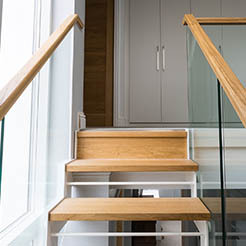 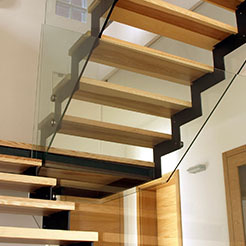 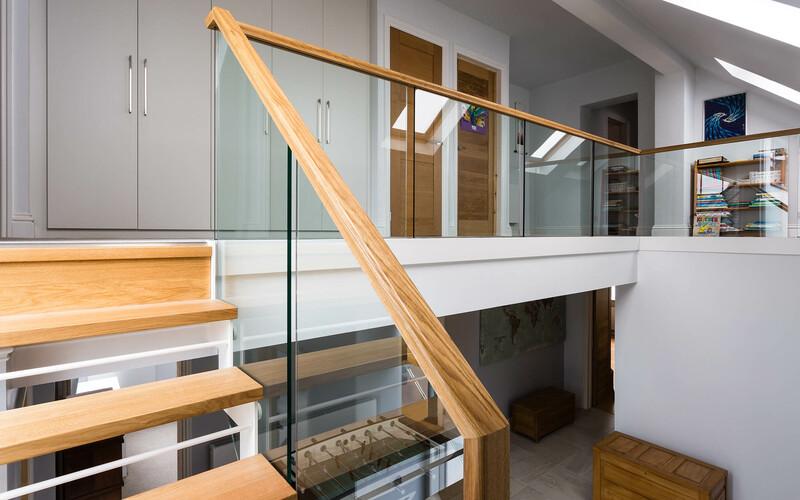 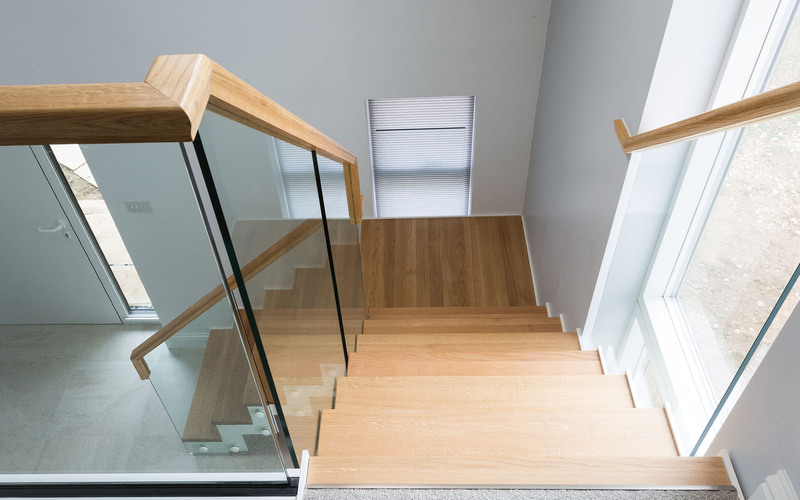 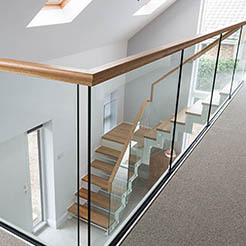 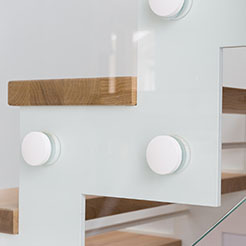 Toughened and polished frameless glass balustrades allow the stunning zigzag form to be on full display throughout, whilst beautifully showcasing timber treads at every angle. 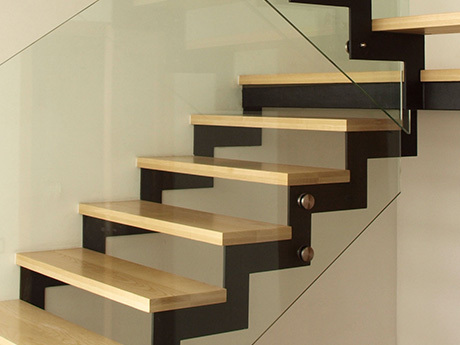 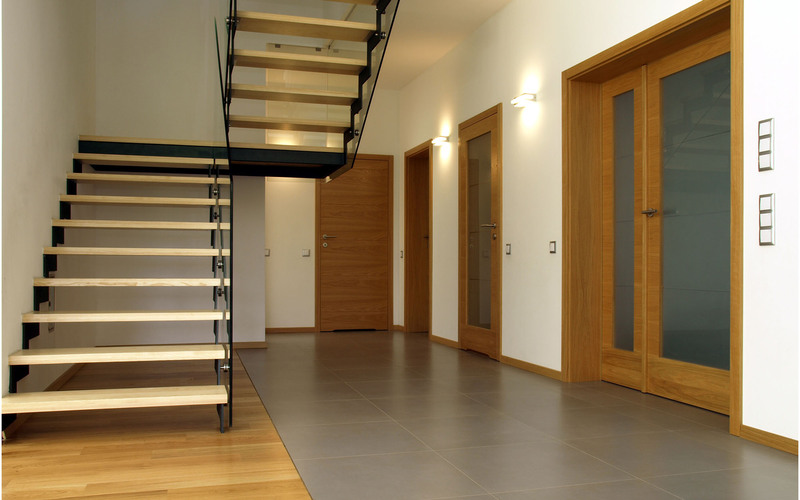 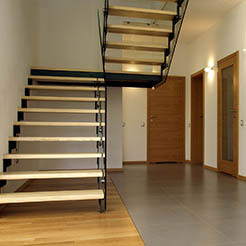 The Brace is truly a striking staircase design, which allows you to create floating landings and winders in style. 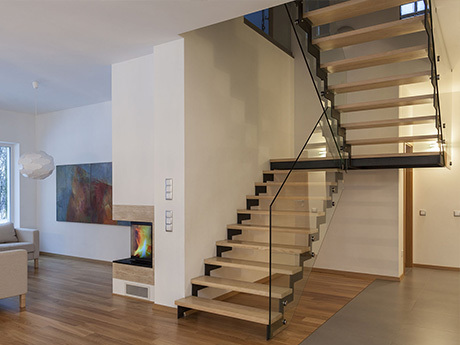 For a unique look, go for an open plan design with steel or glass risers. 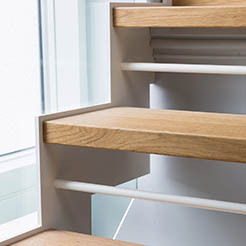 Alternatively, create a completely closed design with wood risers. 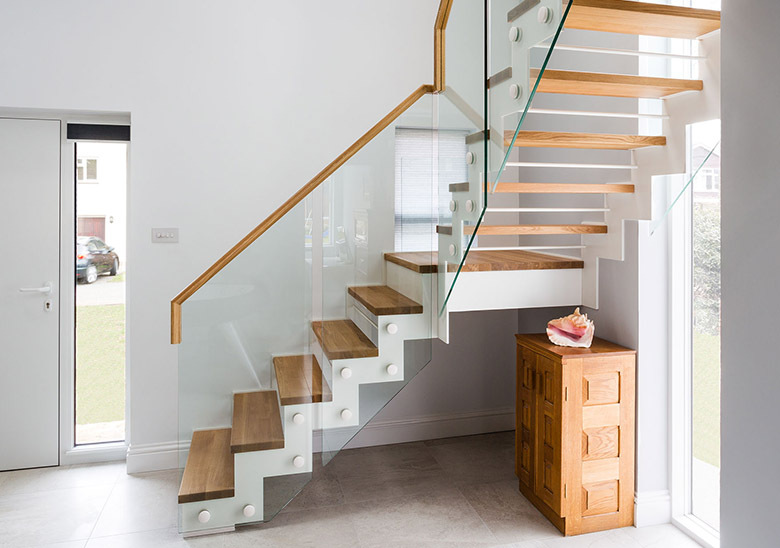 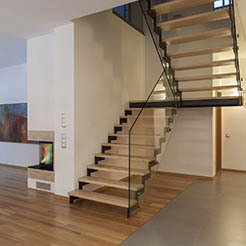 “The Brace staircase is unique in the fact that it offers a stylish zigzag profile that creates a very striking look while also remaining very minimal. 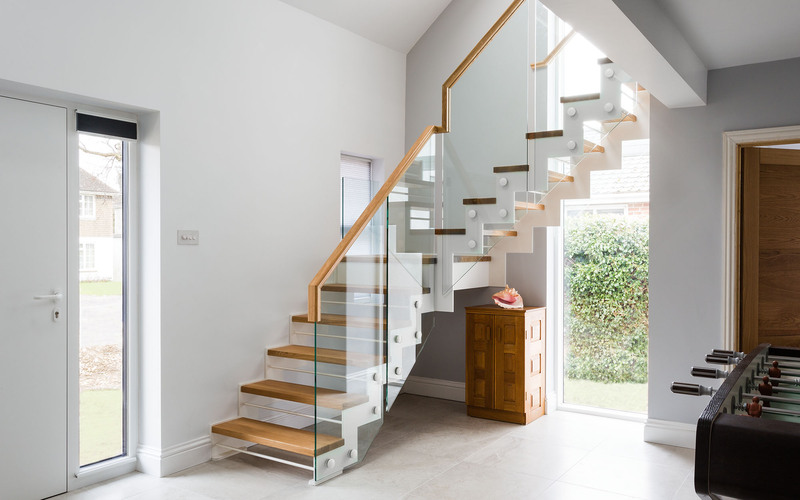 Brace is a very flexible platform from which to create a really stunning staircase that suits a clients style and taste. 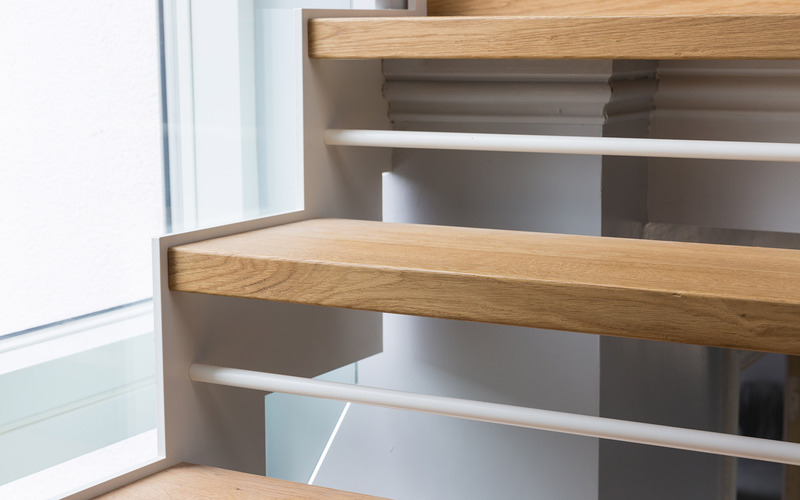 There are so many different design avenues that this staircase can lead down, its never a dull day when designing a Brace staircase." 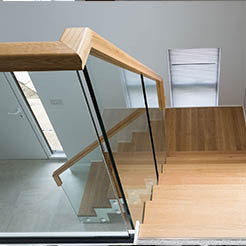 The Hornsby family planned a complete renovation of their home in Abingdon, Oxfordshire. 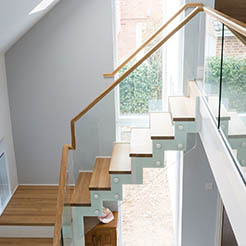 The redesign included moving the staircase five metres away from the original position. 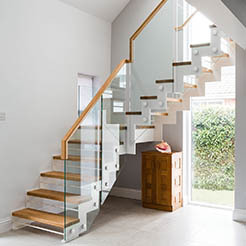 The original staircase did not meet any of the current building regulations due to the pitched ceiling, so the team at First Step Designs had a challenge of their hands from the start. 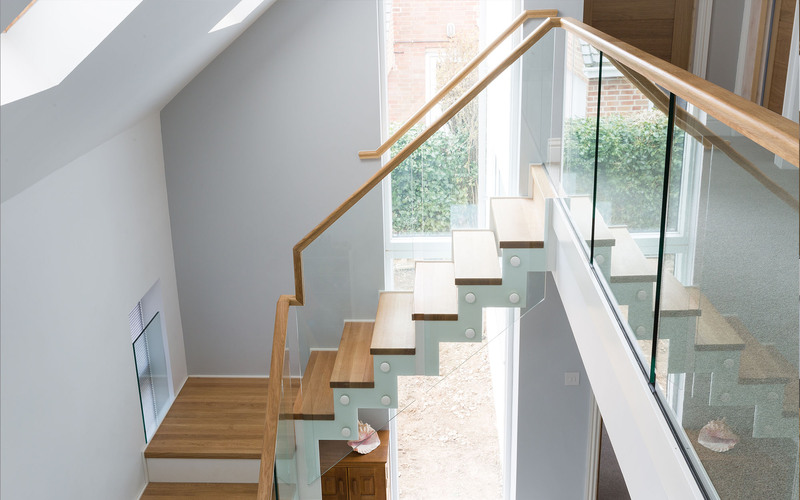 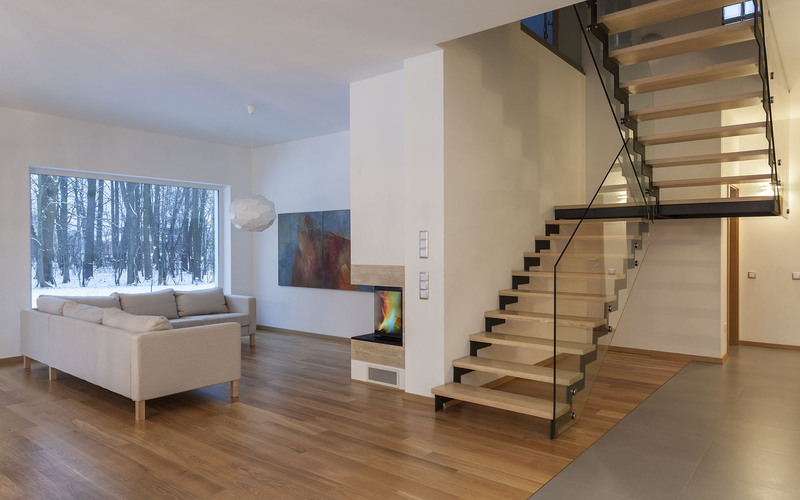 A complete new layout of staircase was the key to make this design work, featuring a floating landing to spread the treads evenly and span the space with an elegance that the old staircase never embraced. 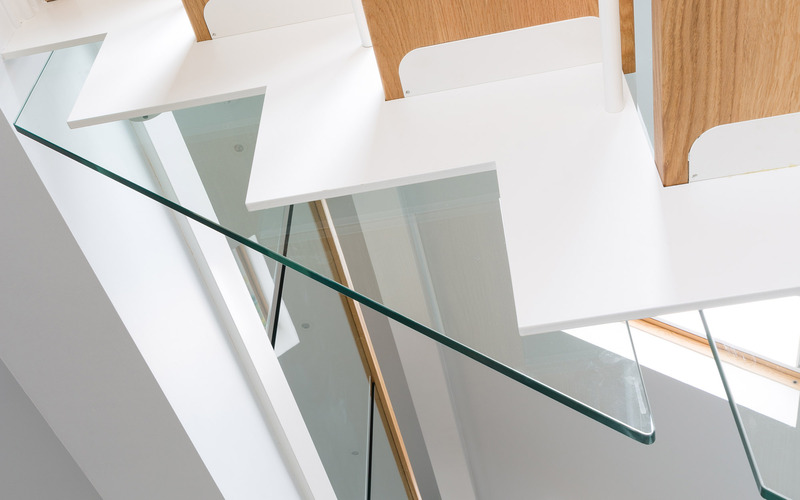 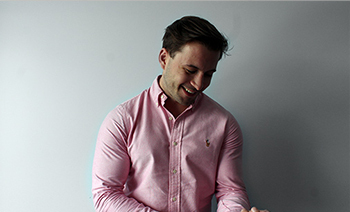 The team designed a few potential options to gain an understanding of what the Hornsby family were looking for, this allows us to finalise the perfect design after exploring different ideas initially. 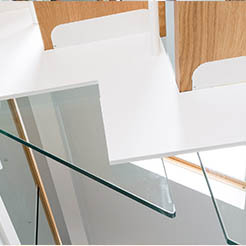 The main elements of the brief became clear; a lightweight, unobtrusive, open, contemporary design.